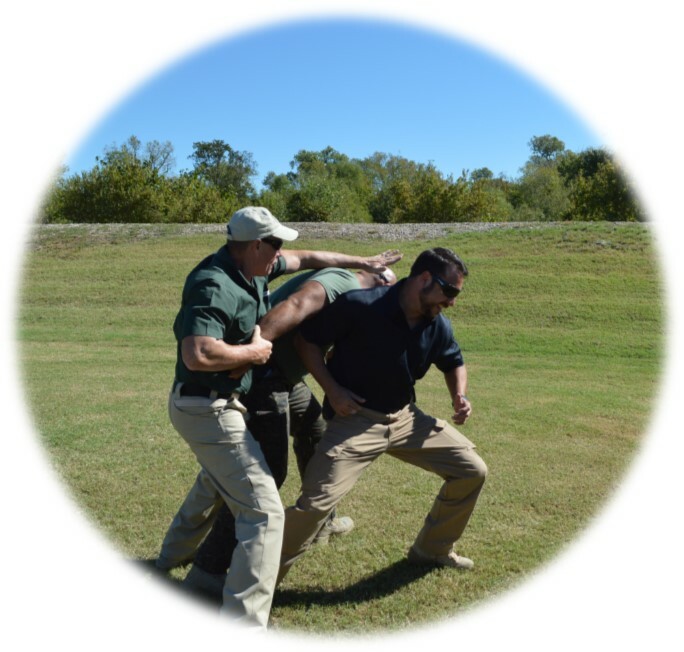 Founded in 1998, Strategic Weapons Academy of Texas (Weaponsacademy) is a private tactical training school built on 37 rural acres south east of Dallas, TX. 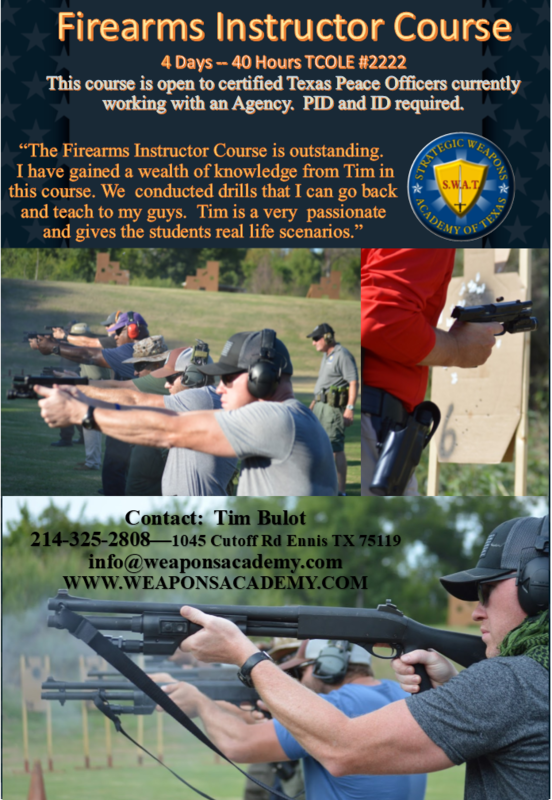 The Weaponsacademy facility includes several pistol/rifle ranges, a long precision rifle range, a live fire shoot house, a simunitions house and also an explosive breaching range. We also have climate controlled modern classroom and facilities. 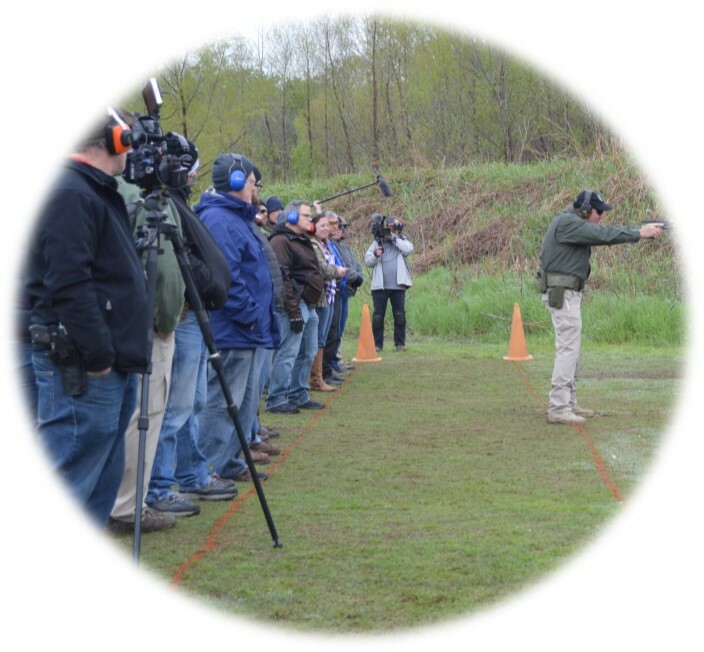 When you take one of our courses you will be trained in privacy, not on a public shooting range. 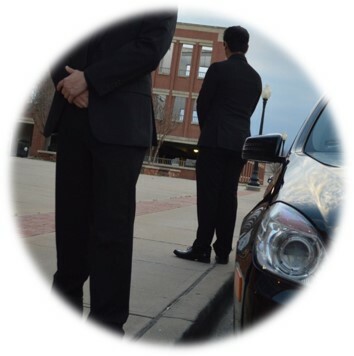 We take pride in our personalized classes and courses. The unique nature of our training facility combined with the best instruction available allow you, the student, to receive the highest quality training possible. See for yourself! 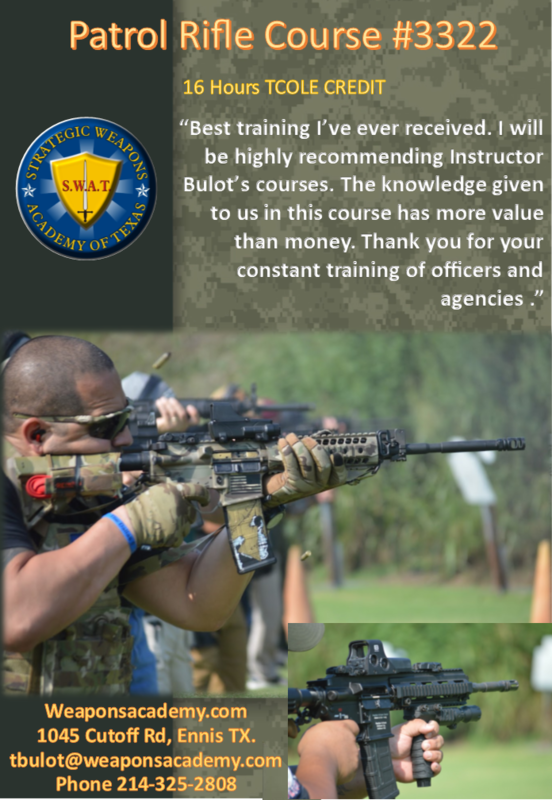 Enroll now and come train with us at Weaponsacademy! 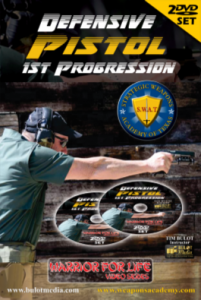 This video takes you through the “1st Progression”, a series of drills and exercises safely taught in the “Ideal Situation Phase”. 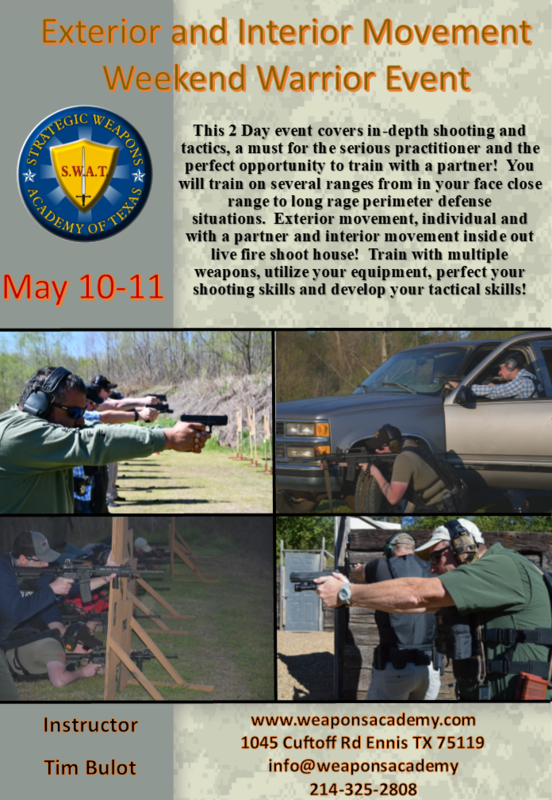 In this phase you will developed the foundation of a competent defensive shooter, safely and effectively operating your handgun. 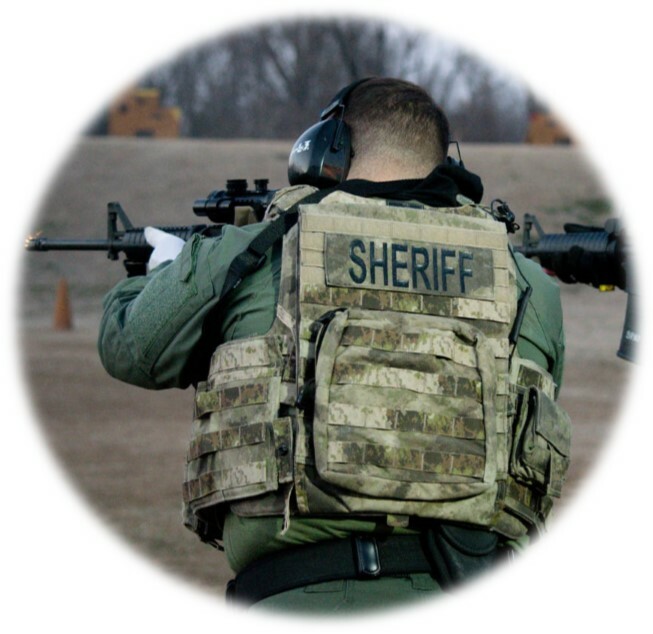 New shooters will gain understanding and ability to deploy the handgun in defensive situations, experienced shooters will improve their existing skill and acquire new knowledge and perspective. 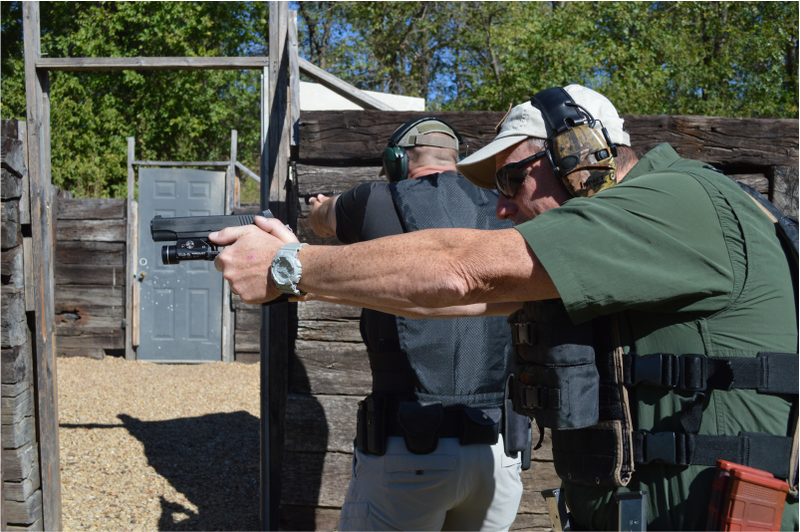 Tim Bulot is an instructor with 35 years of Police experience, many of these years working overseas for the U.S. State Departments Anti-terrorism Team. Tim was the Deputy Program Manager of the DOS Anti-kidnap Initiative, which required that he live and operate in a high risk foreign environment for many years. 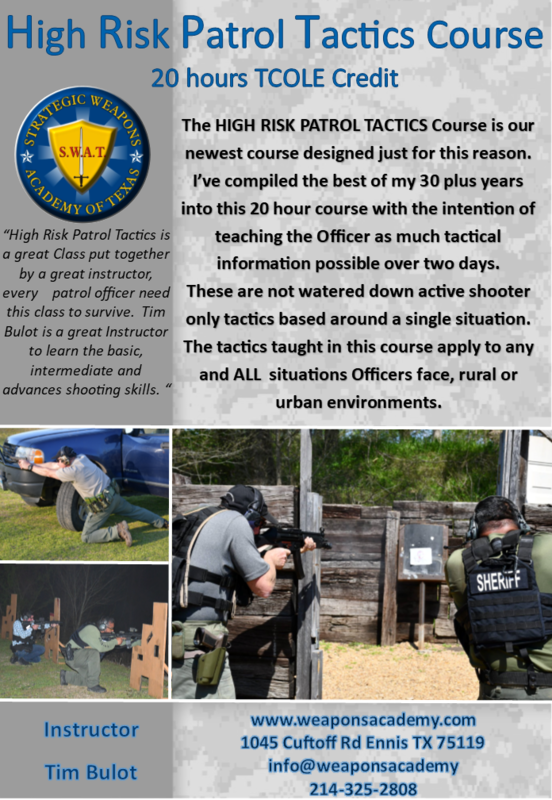 Don’t pass on this opportunity to learn from one of the most experienced instructors available.